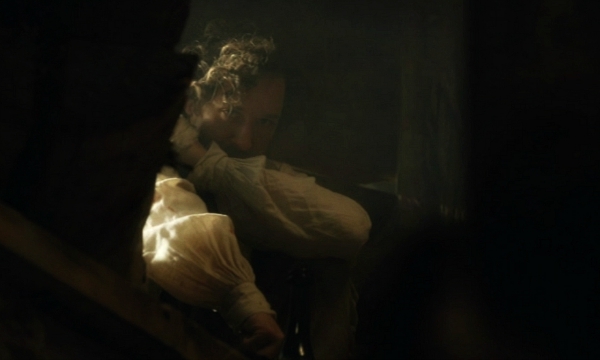 Jonathan Strange awoke to a hand stroking his hair. In that moment he imaged himself transported to his bed in Soho-square and that the hand was that of his wife. “Bell,” he murmured with a sleepy smile. The hand, however, did not belong to Mrs. Strange, but rather to a dead Neapolitan soldier whom Strange had revived the previous day. He was deeply dismayed and absolutely horrified to discover this fact upon opening his eyes. Strange skittered backwards with an unmanly shriek only to collide with the legs of yet another dead Neapolitan.